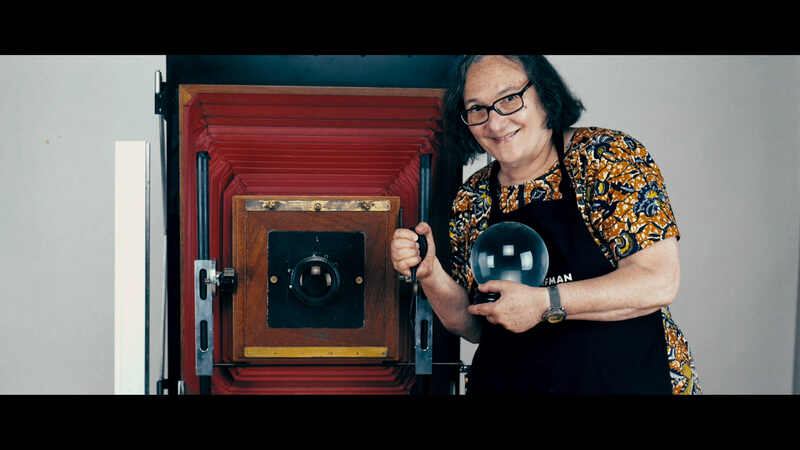 Elsa Dorfman is a master practitioner of a rare photographic format, the large-size Polaroid 20′ x 24′ camera. For three decades in her studio in Cambridge, Massachusetts, she took thousands of portraits, including those of accomplished friends like poet Allen Ginsberg and singer Jonathan Richman. Now in her late 70s, she opens her archives and her memories for this documentary by her longtime friend Errol Morris (The Fog of War, Tabloid), who is also receiving DOC NYC’s Visionaries Lifetime Achievement Award. Courtesy of NEON/Netflix.